Update: The Rock has vehemently denied he made these comments. Original Story: 10-time WWE World Champion Dwayne “The Rock” Johnson has an issue with today’s “generation snowflake.” “The Great One” recently spoke to the U.K.’s Daily Star to discuss a variety of topics. Johnson has previously teased a possible run for the United States Presidency in the future. The Rock is currently one of the biggest stars in Hollywood. However, the 2020 United States presidential elections are on the horizon. 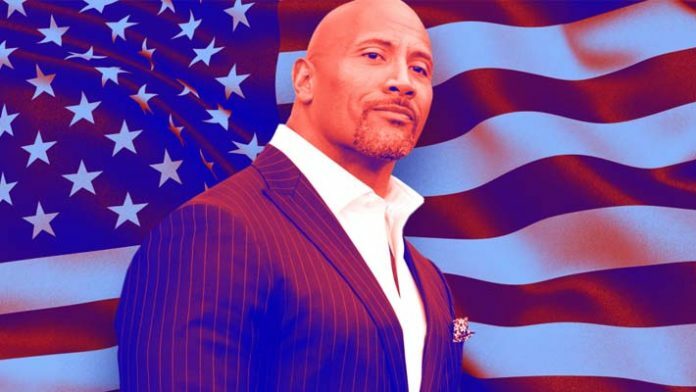 There’s still time for The Rock to officially announce his candidacy for the race. Many former WWE stars have shown a great interest in politics. WWE Hall Of Famer Jesse Ventura is the former Governor of Minnesota. Glenn “Kane” Jacobs, a former WWE Champion, is the current Mayor of Knox County, Tennessee. And, while he may not have been a wrestler, WWE Hall Of Famer Donald Trump is the current President Of The United States. Former WWE CEO Linda McMahon serves in his administration as the Administrator of the Small Business Administration. What do you make of Rock’s comments on “generation snowflake”?